Picking the right type of car insurance coverage can be tricky. Clearly, you don't want to pay more than you have to. But you also want to make sure that your vehicle is protected. In every province, a minimal amount of auto insurance coverage is mandatory. However, you can purchase additional types of coverage from your insurer. So, will a basic policy be enough, or will you need to pay extra for a higher level of protection? It all depends on your driving habits, budget and insurance rate. In addition to the basic car insurance required in your province, you can purchase four different kinds of optional coverage. These are: Collision, Specified Perils, Comprehensive and All Perils. Collision: If your vehicle is upset by or collides with another car or any object, this coverage will pay for the damages. Please note that damage caused by a collision is not covered under a Specific Perils policy. This option must be purchased separately (see above). Comprehensive: With this option, you will get coverage for all types of perils, except collision. 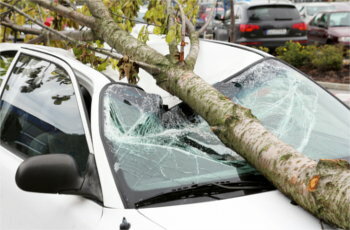 Comprehensive coverage will also pay for damages brought on by perils if someone who resides in your home is driving. Your car will also be covered if it is damaged by peril while being repaired at a service centre. All Perils: This coverage will pay for damage caused by any peril mentioned above, plus collision. Also, your vehicle will be protected from perils while being driven by a member of your household or by a paid driver. Of course, this is just a broad overview of the types of optional car insurance coverage out there. Certain exclusions may apply. Please speak with your insurer for specific details. Do You Need Optional Car Insurance Coverage? As with any type of insurance, there's really no way to predict exactly what you'll need to cover. Hopefully, you'll never have to use your policy. However, life is unpredictable, and you'll want to be protected in case the unexpected occurs. If you have a short commute to work and you seldom venture very far away from home, minimal coverage should be enough. But if you drive a lot and have a tendency to be in hazardous situations in unfamiliar places, buying additional coverage might be a good idea. It also comes down to what you can afford. Meaning, if you are considered a high-risk driver and are already paying a higher-than-average premium, getting more insurance may be too expensive. On the other hand, if you're getting the best rate possible, splurging on extra protection might be possible. Shop around and compare rates to make sure you're getting a good price on coverage. Work on building a good driving record by avoiding accidents and demerit points. Remove high-risk drivers from your policy. Install a theft-deterrent device in your vehicle. Buy a car with a lower-cost insurance rating. If you don't do a lot of driving, you might want to look into getting a telematics device. This type of accessory allows drivers to access usage-based insurance (UBI). Also known as pay-as-you-drive, providers of this unique coverage base your premium on how much time you actually spend behind the wheel. 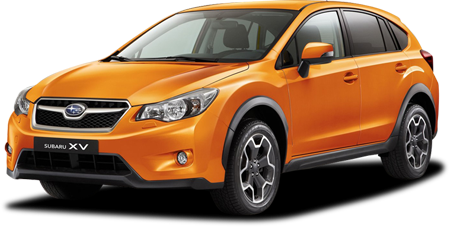 If your top concern right now is buying a good, reliable car to use for everyday driving, Canada Auto Loan can help. Even if you have poor credit, we can make it easier to get financed and back on the road. How? We can match you with a dealer in your area that can work with unique credit situations. Also, our service is free and comes with no obligations. So, go ahead and fill out our simple and secure auto loan request to get started today.